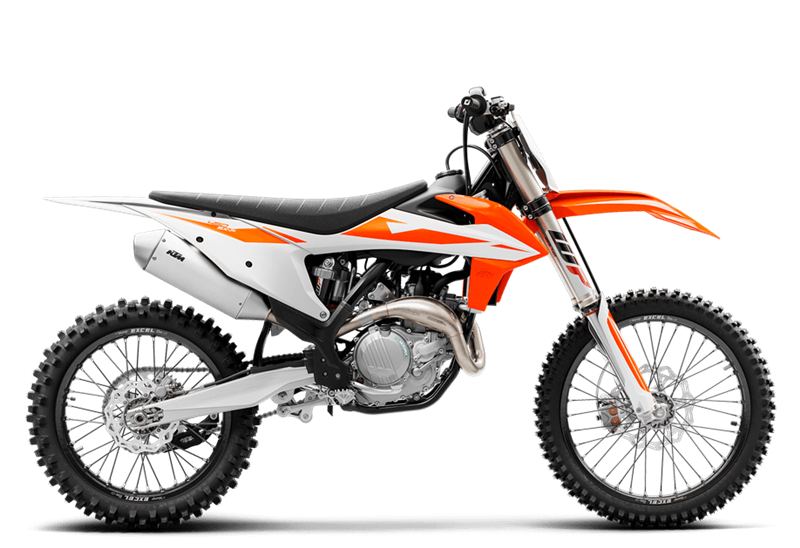 TRANSMISSION The KTM 450 SX-F uses a lightweight 5-speed transmission with gear ratios that are perfectly matched to the power delivery of its large displacement engine. The 1st and 3rd gears are treated with a special surface coating for better reliability. An advanced ´No Dirt´ gear shift lever design prevents mud and sand from blocking the joint of the lever and guarantees trouble-free shifting. All 4-stroke engines are fitted with a gear position sensor, giving the option of different engine characteristics for each gear. For 2018, the transmission shaft gets a stronger shifting star and a C4 bearing that has a bigger overlap in the case. This guarantees better reliability even in extremely tough operating conditions.